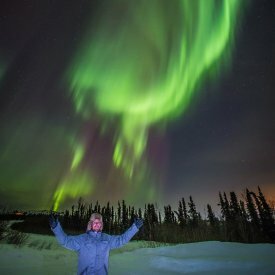 Join us on our Northern Lights tour in Alaska! 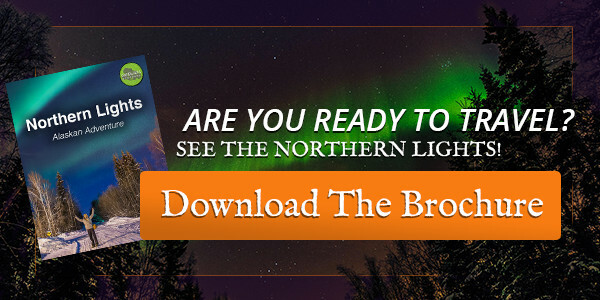 Get a dose of local culture by day, and by night look for and photograph the Aurora Borealis. Your local guides will provide the necessary wake up calls when the lights appear and help you capture the perfect photo. 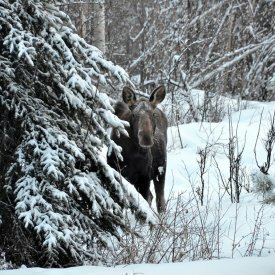 Learn what life’s really like in the interior of Alaska over lunch with local homesteaders, walk with reindeer, dogsled, learn to curl and unwind in outdoor geothermal hotsprings. 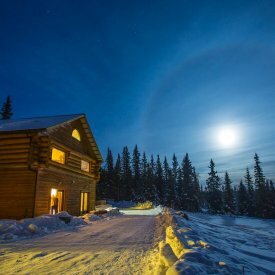 Six nights of cozy accommodations outside Fairbanks. Personal wake-up service when the Aurora is active. 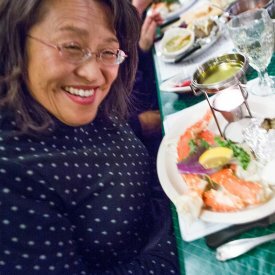 All of your delicious Alaskan breakfasts and two home-cooked lodge dinners. 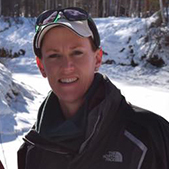 Two expert Alaskan guides, one for activities and one for aurora. Entry into Chena Hot Springs. A curling lesson from local players. Entry into the Ice Sculpture Museum & the Museum of the North. 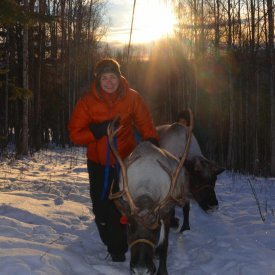 Entry into Running Reindeer Ranch. All of your secure transportation in Alaska–your safety and comfort always comes first. 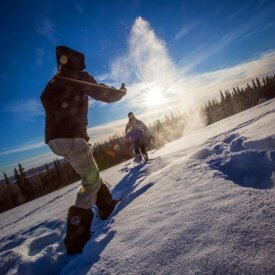 A great spot to start your trip in Fairbanks. It’s close to the airport and a 5 minute walk to several grocery and department stores; an ideal location. With comfortable, spacious rooms, you can’t do much better for your first night in Fairbanks. 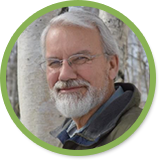 For over 50 years, A Taste of Alaska Lodge has been situated on 280 acres of woodland in central Alaska. Whether it’s the wildflowers blooming under your feet, or the Aurora Borealis blossoming overhead, the lodge offers many spectacular sights and sounds from its dwellings. The Alaska Mountain Range can be seen from the lodge and on a clear day you can see all the way to Denali. With comfortable rooms and plenty of local food and drink, it’s a fantastic place to explore the wilderness. Located outside of the city, light pollution is not a factor thus increasing your odds of seeing the aurora borealis! Now boasting a heated yurt outside in an ideal location for northern lights viewing! This European styled Bed and Breakfast is hosted by friendly Alaskans that will help your adventures begin! The country setting provides a buffer from the outside world. Enjoy comfort, thoughtful attention to detail, and a touch of country charm. The lodge is far enough out of the city that light pollution is not a factor, thus increasing the odds of Aurora sightings. See the northern lights right from your room’s deck! 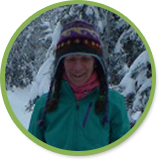 Carol is a perfect source for learning about the lifestyle in Fairbanks, and can share exciting stories from her experiences in the Alaskan Interior. 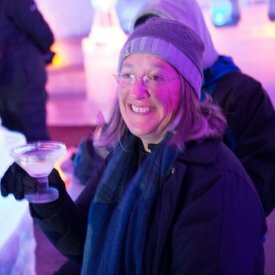 Carol greatly enjoys helping guests ‘hunt’ the northern lights and photograph them. 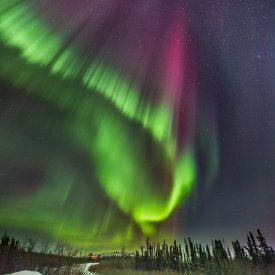 Get Ready To Travel See The Northern Lights! ** Single supplements do apply for group and private dates; call for pricing. Are You Ready To Learn More About This Ecotour?